Bluefin Tuna have finally arrived in the Narooma area. After hearing on the radio of a few boats with a decent patch of Bluefin around the boats, we headed out to get some underwater footage and do some filming, after having a late leave at 2:30pm. Huge patch of Bluefin ranging from 20-35kg with the odd 40-50kg mixed in, the bite was about as hot as you can get anything you put in the water was eaten. 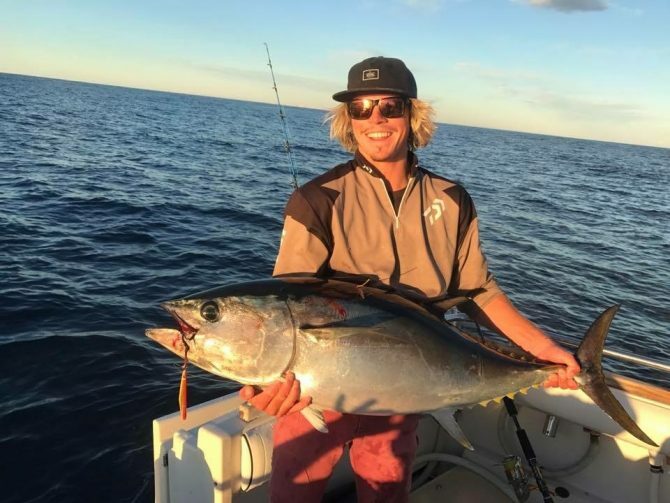 Tuna Fish fishing Narooma area.